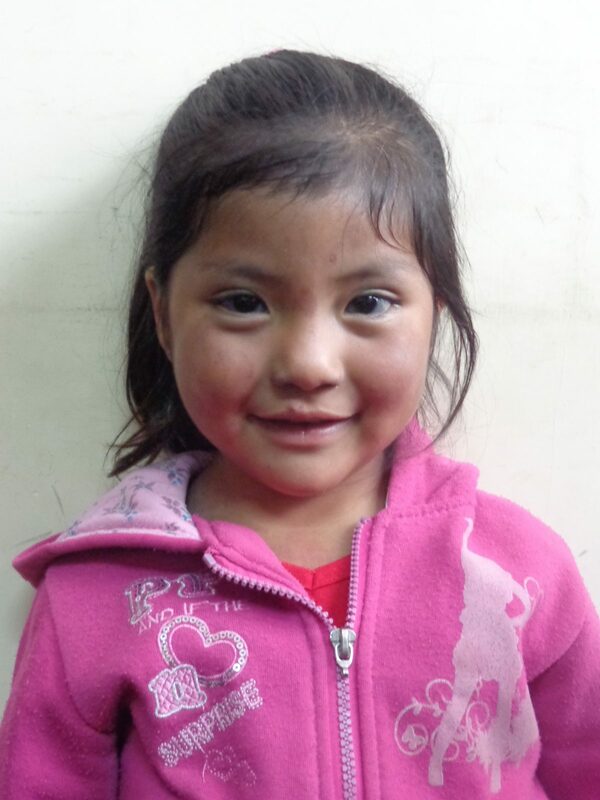 Melani is a busy four-year-old girl living in a small community in Sucre, Bolivia. Much like many four-year-olds you may know, Melani’s favourite things to do are to paint, draw, play with friends, and help her mother set the table for dinner at home. When we heard that setting the table for her mother was one of Melani’s favourite things to do, it touched our hearts. 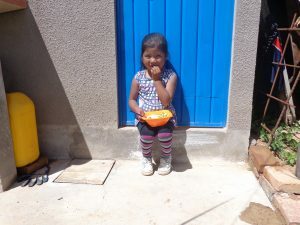 Because we know that without support from caring people like you, for Melani, there would be no dinner to prepare for. We share the belief that no child should ever go hungry. But vulnerable children just like Melani do – each and every day. Will you help change this reality by giving a gift today? Melani is being raised by her single mother Rosemery who does her best to care for her daughter on her own. They live out of Melani’s grandparents’ small humble home – grandparents who work each day in the field trying to eke a livelihood from the ground. In recent months Bolivia has faced unprecedented water shortages, which has made Melani’s grandparents’ farming that much more difficult. Most days, Melani receives bread and sometimes soup at home. It is not enough – nor nutritious enough – for a growing child, in the midst of her most important years of development. Melani, at age four, has to depend on what her family can provide for her. Without enough healthy food, Melani faces a high risk for suffering from malnutrition. With a gift today you can help make sure that Melani will receive nutritious meals, even when her family can’t provide them. Your gift can make a huge difference for children like Melani in Bolivia, Ethiopia, Ghana, Uganda, and in First Nations communities here at home in Canada. Right now, Melani’s mother Rosemery is attending school in hopes that she can overcome poverty and give her daughter a better future. But, without her mother home, Melani was not safe during the day and had no one to feed or take care of her. The good news is that because of caring Canadians like you, Melani has been able to attend an early childhood development (ECD) centre, where she receives nutritious meals and snacks each day. The teachers at the ECD centre make sure that Melani is well-fed, and they also make sure that they are feeding her young mind. With talented educators, Melani is able to learn, play and grow in a safe space while her mother and grandparents are busy during the day. A gift today can also improve household nutrition for families like Melani’s all year long by providing the tools to grow gardens so they can feed their children vegetables and fruit, helping to overcome the challenges of water shortages, and training caregivers on childhood nutrition. No child should ever go hungry – and you can help make sure that children have nutritious food, and a safe space to learn and grow, when their families can’t provide it. Please help feed a child like Melani and change their life forever.